Within the African-American community, talk of diabetes looms just as large as the disease itself. “The sugars” is a well-known enemy, with African Americans almost twice as likely to be diagnosed with diabetes as non-Hispanic whites. An issue of this nature was a clear target for Anthony Anderson, star of the ABC sitcom “Black-ish” and a diabetic himself. When he and the producers began discussing ways to integrate the disease into the show, everyone understood that a corporate partner like Novo Nordisk could help build credibility and support to address these challenges. This was no heavy-handed product integration but the first full-episode integration with a pharma company to address prevalent myths and raise awareness about treatment options. Anderson’s fictional character would now face the same issues that the actor himself faces, including the initial shock and investigation on what needs to change in his lifestyle. In another segment, he checks his blood sugar levels for the first time, expecting pain but experiencing only a small reaction. 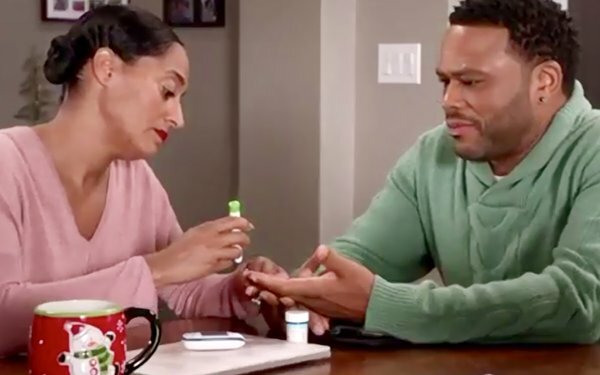 Throughout the show, his wife provided emotional support to show that friends and loved ones won’t leave those with diabetes, and they have nothing to fear. Anderson then hit the talk-show circuit on World Diabetes Day to discuss the “Get Real About Diabetes” campaign. Support from Novo Nordisk ensured that these conversations were happening front and center, including a campaign website that was launched with rich content and customer relationship management opt-in. It was supported by a paid campaign at a cost of 7 to 10 cents per engagement. Look for a supportive partner to help integrate a health issue into a TV show script. Use an influencer already involved with your product to talk about it in earned media interviews. Heavy use of social networks can keep costs down and reach millions of people. This won the Influencer Marketing category in MediaPost’s 2018 Creative Media Awards.